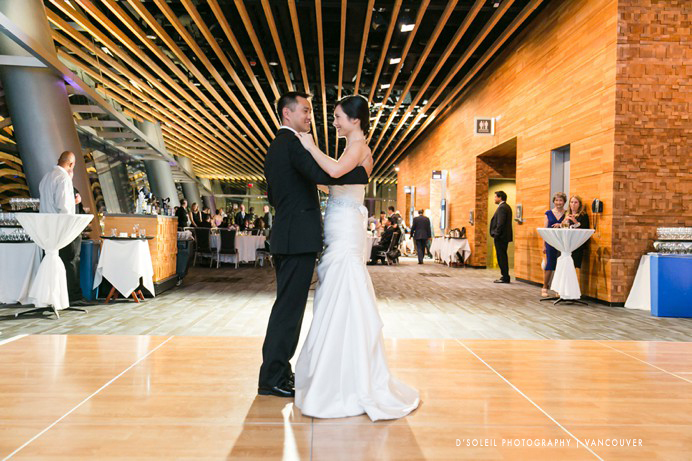 Terence + Jenny celebrated their wedding day at the Vancouver Convention Centre, one of the most scenic wedding venues in downtown Vancouver. 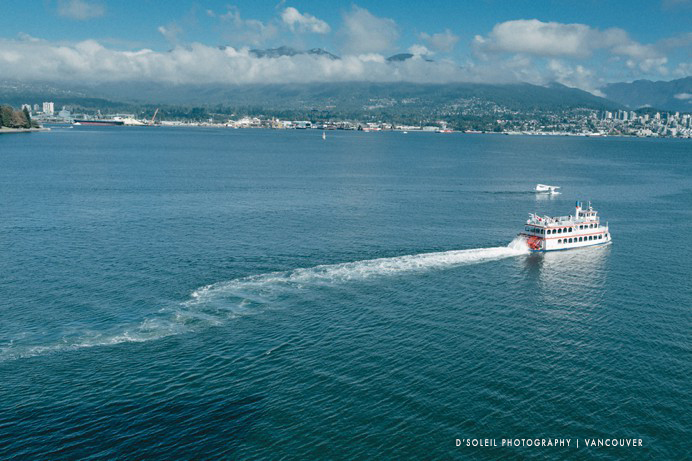 The view of the north shore was stunning on this particular late September day. 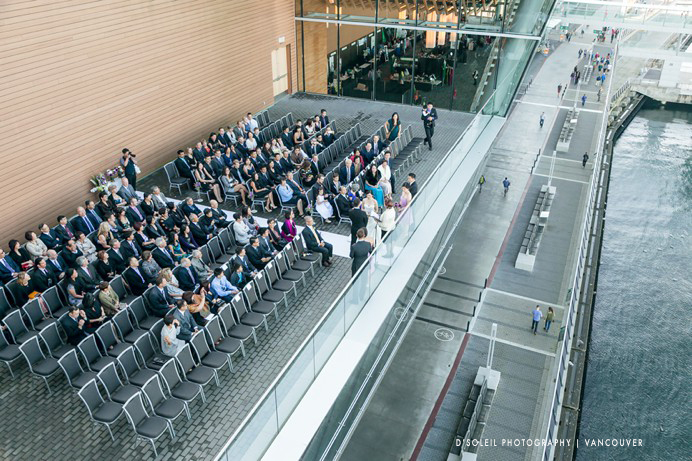 Vancouver Convention Centre weddings offer a unique sort of feeling when you’re inside the venue. The venue is large; massive actually. 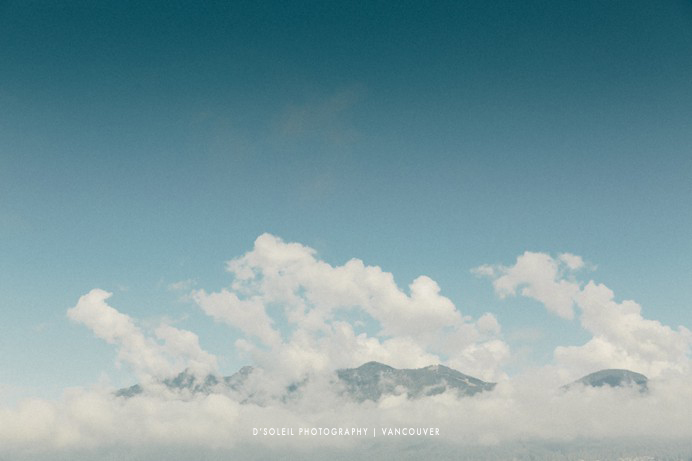 Walking through the space feels like you’ve travelled for days. 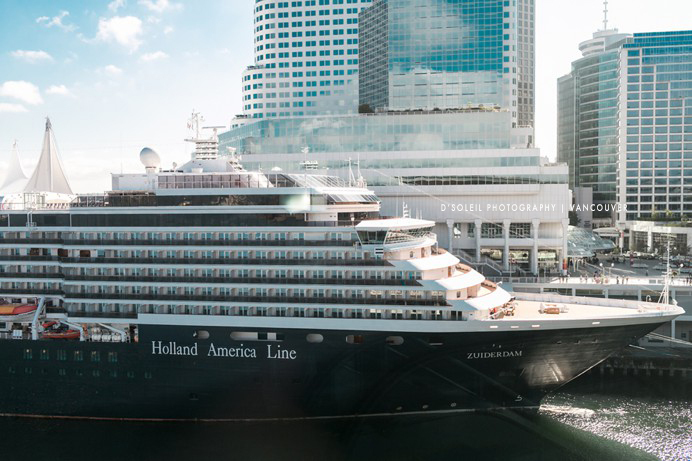 A single word comes to mind to characterize it – impressive. 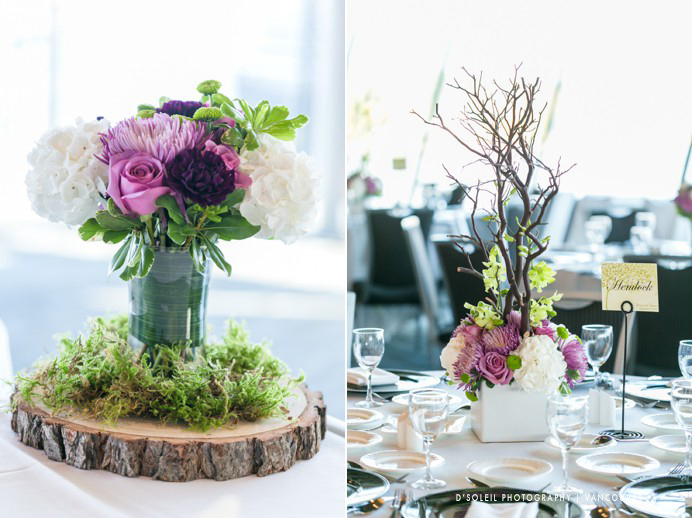 The wedding reception decor had a rustic west coast flair. 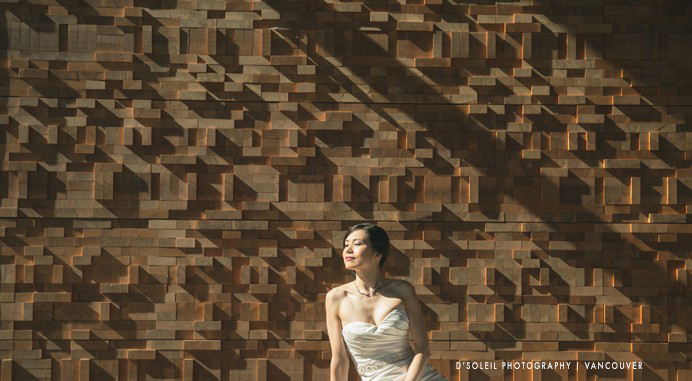 Simple, elegant, not overbearing. 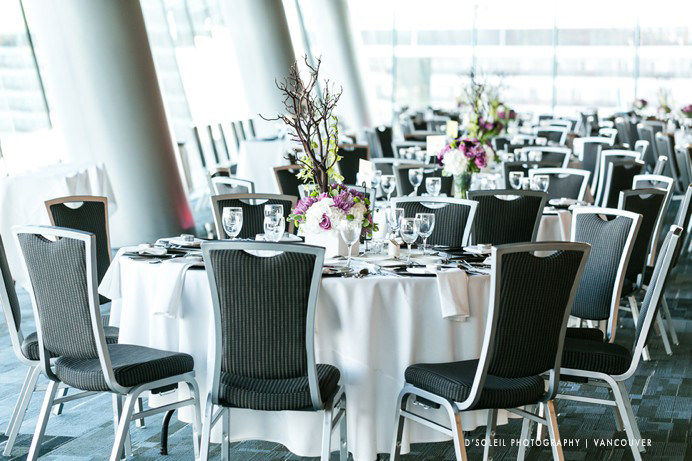 Niche Event Stylists did a great job preparing the venue. 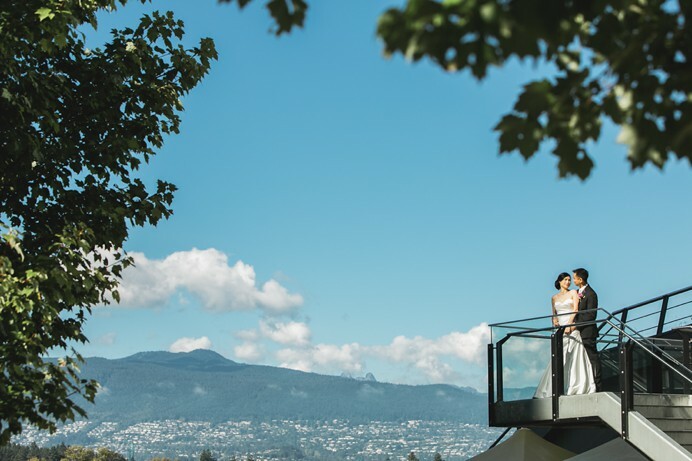 They added lots of unique rustic elements thematic to the west coast. We particularly liked the Jenga sign-in table. 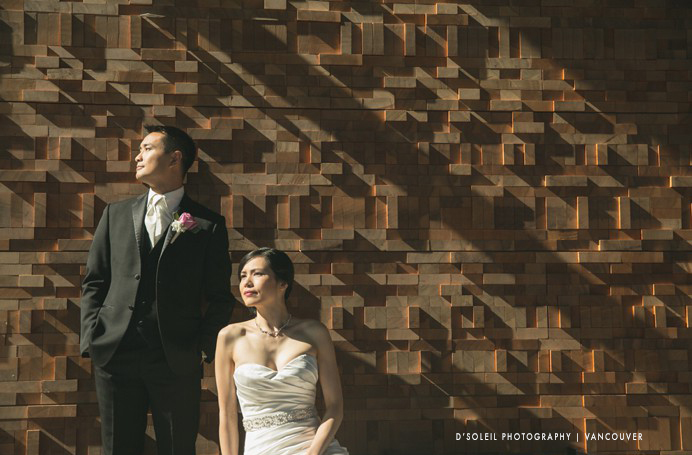 Each guest was given a Jenga wood block to sign their names as they arrived to the wedding. 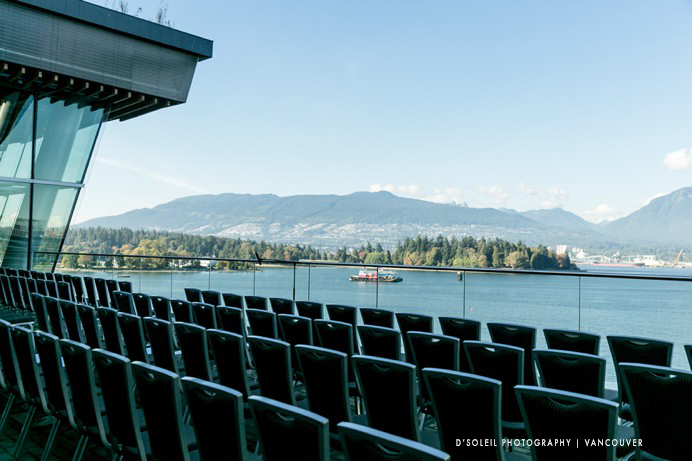 The best part of the Vancouver Convention Centre is the view. 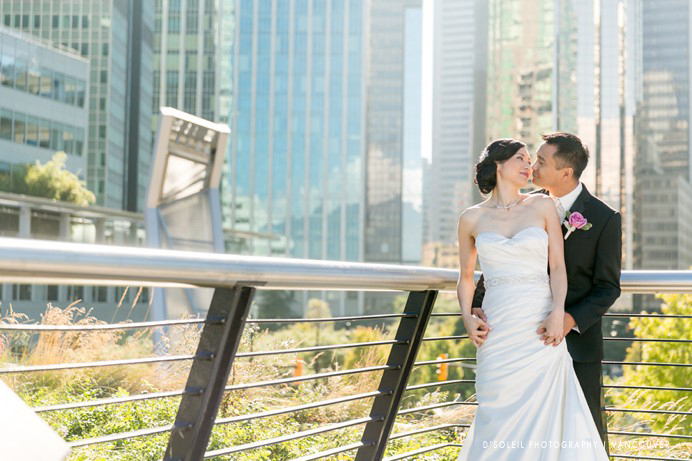 Jenny + Terence held their ceremony outdoors, allowing their wedding guests to enjoy the first days of Autumn 2014. 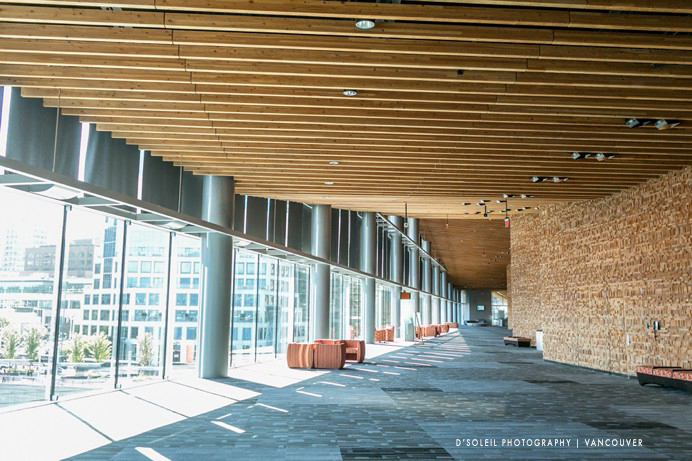 One of the first things you notice upon entering the Vancouver Convention Centre are the massive walls of wood that line the corridors. 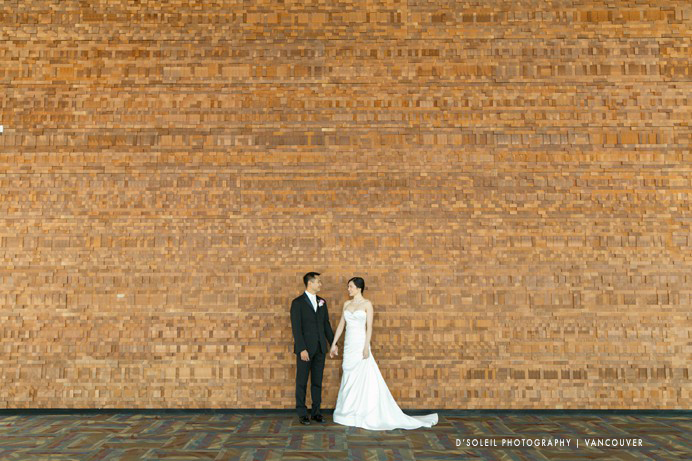 What wedding could be complete with a photo of the bride and groom with the Vancouver Convention Centre wall of wood. 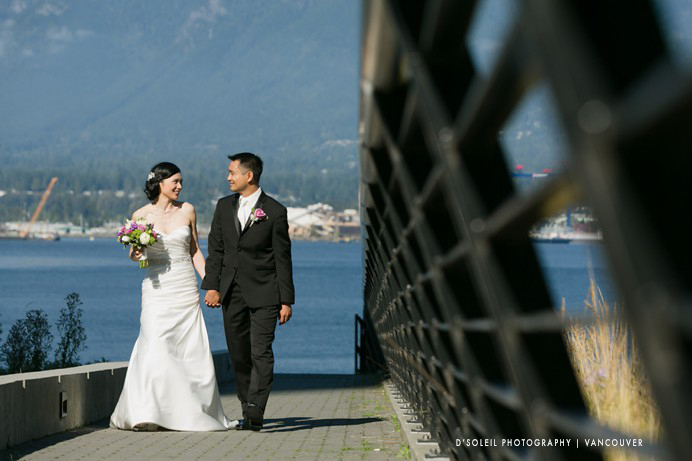 We later had a stroll around Coal Harbour to take photos of the bride and groom. 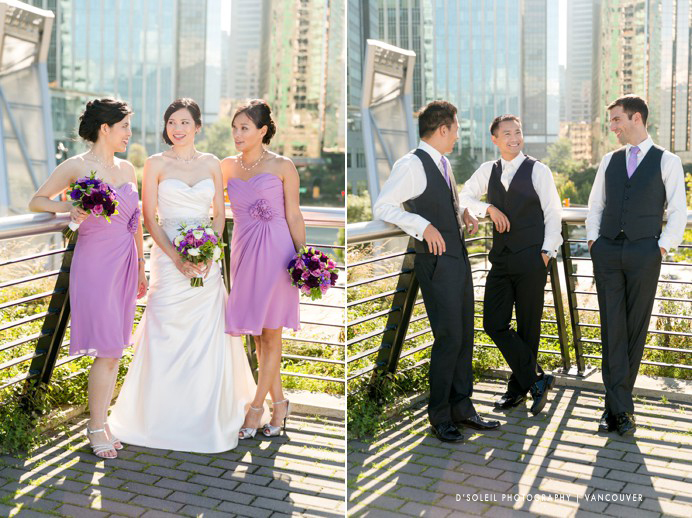 Being a warm early Fall day, there were lots of people out around the sea wall, but we always manage to find a quiet spot for wedding photos. 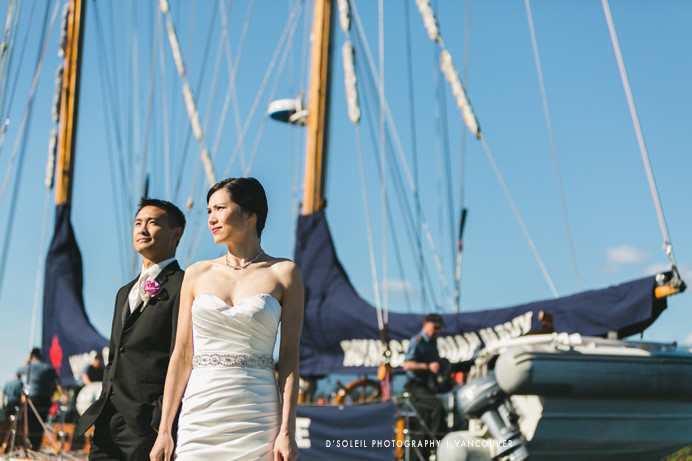 A Canadian naval sail boat was docked at Coal Harbour that afternoon. 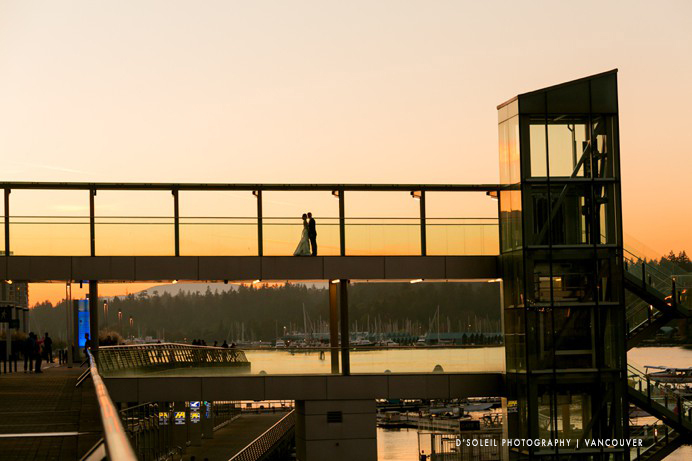 In the evening, we snuck out to take a walk outside and enjoy the warm sunset. 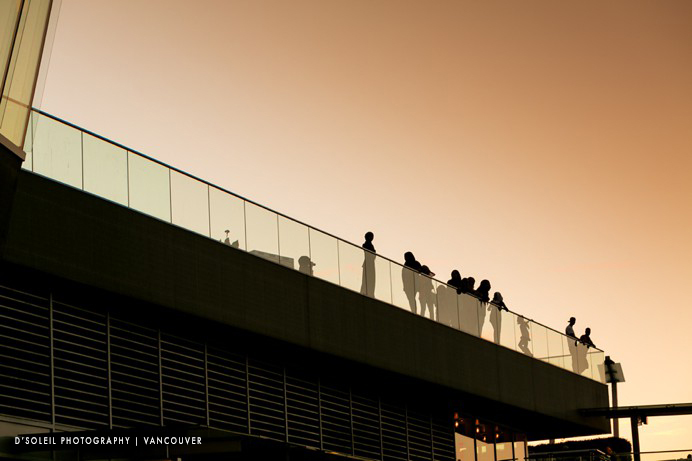 It looked and felt like a mid summer evening. 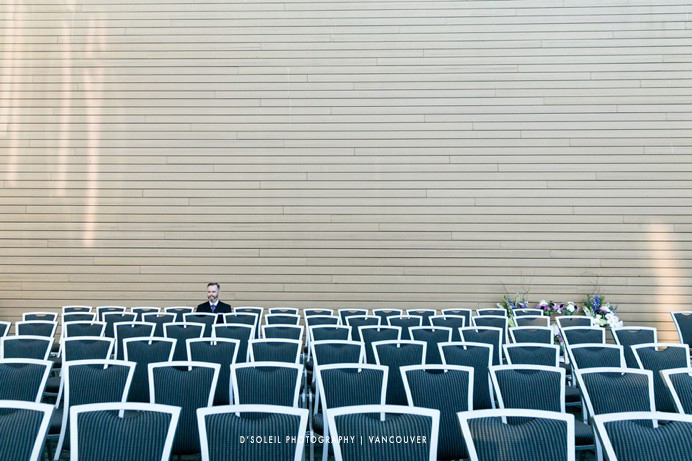 Some of my favourite photos were taken in the evening at the Vancouver Convention Centre. 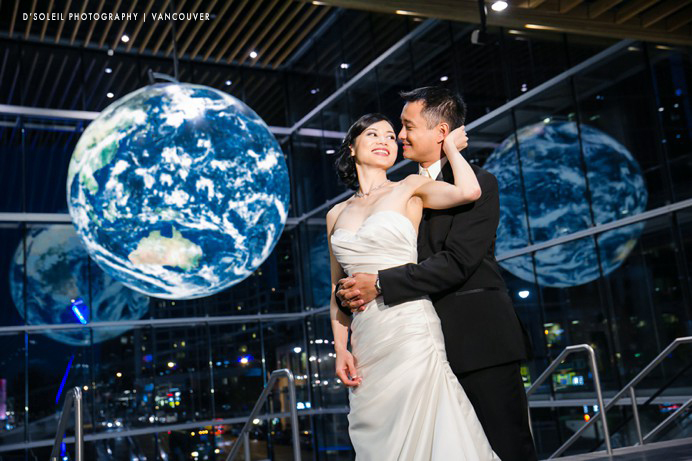 The space around the glowing earth globe made it feel like we were in space looking down on our blue planet. 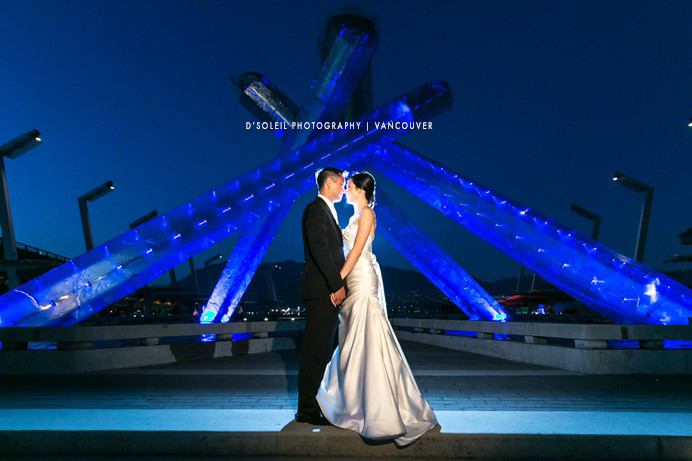 And another iconic monument outdoors is the Olympic Cauldron. 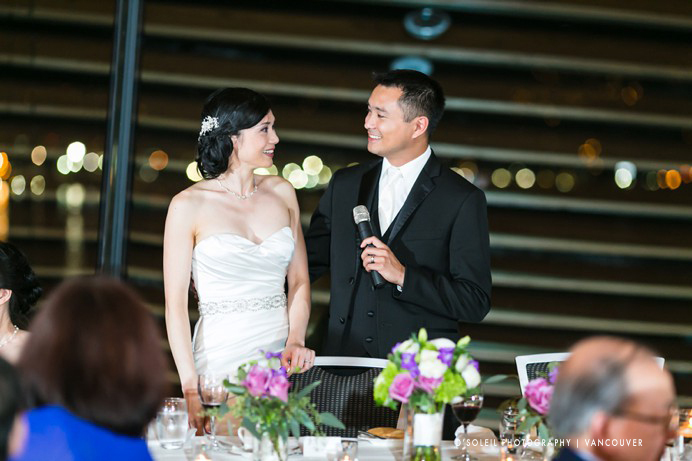 Congratulations again Jenny + Terence on a beautiful wedding.